After checking in to our room we headed out on the bus to the Historic District, which we saw briefly on our pre-cruise tour the previous week. 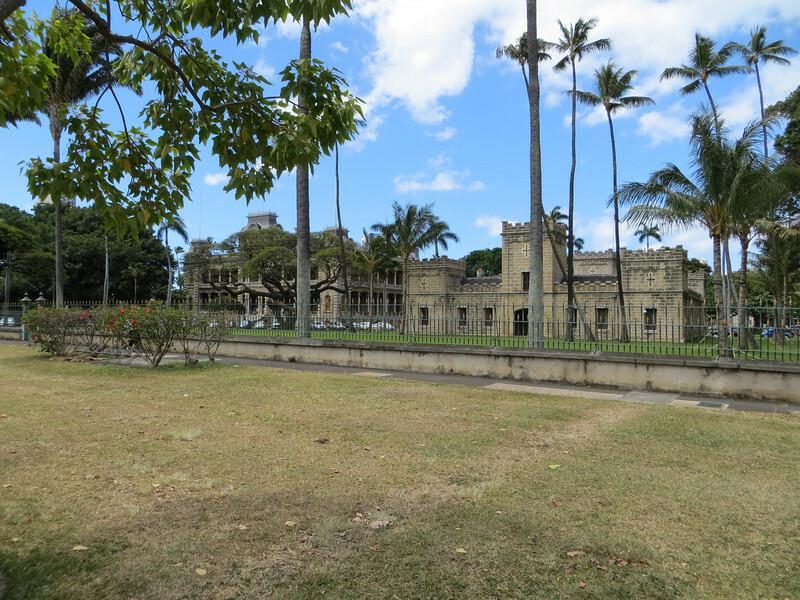 This is the Iolani Palace. It was built in 1882 by David Kalakaua, the king at that time. He had very lavish tastes and wanted to show that the Hawaiian monarchy could hold its own with any monarchy in the world. Each bedroom had its own bathroom. The palace had electric lights, running water, flush toilets, and telephone service before the White House did! Hawai'i is the only state to have not one, but TWO royal palaces (the other is the one we visited in Kona).